For many of us, picking up a trumpet, violin, clarinet or other instrument and joining the school band class was our first foray into the world of musicianship. For parents with kids looking to take that same first step, the process of getting an instrument to start with can be a bit daunting. When faced with this decision, you have two main options: renting or buying. In this post, we'll look at the pros and cons of each route and explore what you should consider when securing an instrument for your budding maestro. The assumption exists for many parents that renting is the easiest and more economic way to acquire something for your student to play. This view is certainly understandable. Rental programs are usually at the core of any town's wind or string music shop, and schools very often have their own rental programs or partnerships in place. For this reason, many parents and students are pointed to rentals as the easiest route. Convenience -- No denying that renting an instrument is extremely quick and simple. In most cases it's just a matter of getting a recommendation from your local shop or music teacher and filling out a form. Reliability -- Classical musical instruments need to be treated with care; not an area where the average fifth grader excels. Rental instruments often offer basic insurance and repair service. Keep in mind, though, the fact some vendors will charge an additional monthly fee for this. Easy Exit Strategy -- The greatest fear of many parents is that their child will give up on an instrument soon after picking it up. If you're renting and this happens, you can just close the rental contract. 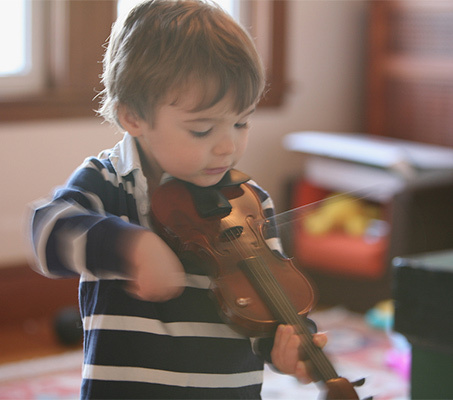 Similarly, with stringed instruments in particular, if your child starts with a smaller sized instrument like a 3/4th-sized violin, renting lets you easily exchange for a larger size in subsequent years. Apart from these matters of convenience, many parents and players assume that the rental route is inherently cheaper than buying. While it is certainly cheaper to get started with a rental, as we'll see below, the economics of buying vs renting are bit more complicated. In the long run, buying used is usually the most affordable option. 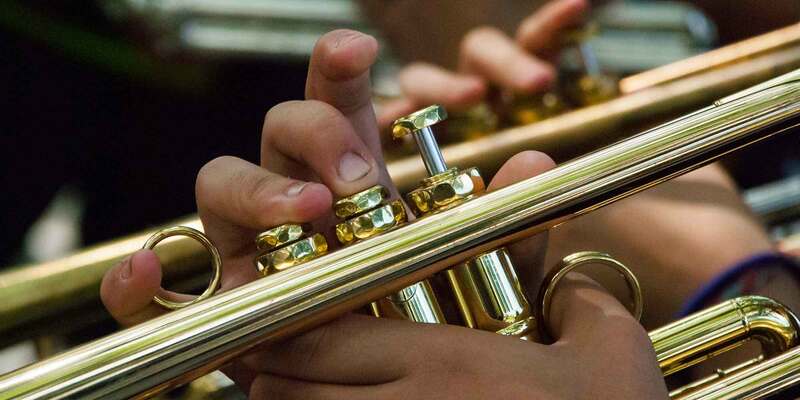 While renting an instrument might seem like a no-brainer for a student, especially if you're less than 100% confident they're going to stick with it after a year, buying an instrument is actually a lot easier than you may think. For one thing, the internet has made finding information on which brands and models to buy easier than ever before, not to mention, of course, the ease of using sites like Reverb to find the best deals. Whether you're shopping online or at your local music store, there are some key factors to keep in mind. Just like with buying a minivan, choosing between a new and used instrument is the first step. Unlike the minivan, however, musical instruments do not tend to lose resale value through the years. The advantage to buying a new instrument can be distilled down to knowing exactly what you're getting; no worrying about any marks, dings, or functional issues. Plus, you'll have a return policy to fall back on if anything isn't pristine. Beyond that, there is something to be said for the inspiration and sense of commitment that a shiny new horn can offer a student. The disadvantage of buying a new instrument is essentially the price tag. Just like that brand new minivan, a brand new trombone costs more than a used one and loses its sticker value as soon as it leaves the lot. 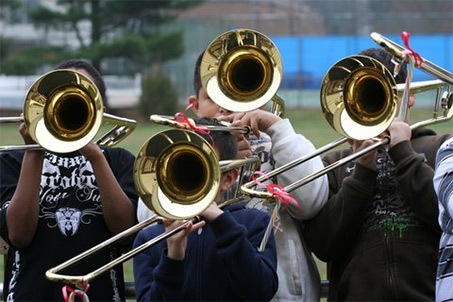 For this reason, parents and players looking for the best bang for their buck should opt for a used instrument. Is Buying Used Too Risky? It goes without saying that a certain degree of uncertainty exists when buying anything used. What if my cello arrives with a warped bridge? What if the keys on my flute don't shut all the way? What if my snare drum is only capable of playing breakbeats at all hours of the night? Seek Trusted Advice -- When you narrow down the list of instruments you're considering, have a more experienced musician or your child's music teacher take a look. This can be as easy as bringing the horn in question up on the Reverb app on your android or iPhone and having them take a peek at the listing. Ask Questions -- On Reverb, we make it easy to communicate with sellers and ask questions beforehand. Most sellers selling instrumental music instruments on Reverb, are indeed experts in the field, and will be happy to offer suggestions and input. Ask about the history of the specific item, more information on anything that's not in the description or images, and details of the seller's return policy if it's not listed. Negotiate the Price -- When looking at a listing on Reverb, there will usually be a button the right side that says "make an offer." If that button is there, the seller will likely be willing to work with you on the price a bit. This is a great chance to ask some questions about the instrument as well. For parents and players who are new to the instrument buying game, buying used can seem intimidating. Just remember, when buying on Reverb, you'll be backed by our protection plan in case anything is amiss with the instrument you purchase. As mentioned above, renting a band instrument is really only cheaper in the short term. You don't have to put as much money down upfront which can be a huge benefit for many families. However, over the long run, buying something used is definitely the most economic option. Here's an example: If you spend $12 a month renting a trumpet, that comes out to $144 a year. If you add on a standard insurance plan at $5 a month, that's another $60. Once you get to two years, you're already at around $400, which is more than enough to buy a used trumpet locally or online. Many rental programs do offer a rent-to-own program, but buyer beware; you're renting to buy at the full list purchase price which is often above what that same instrument costs to buy new. But beyond these projections of rental cost over time, the biggest difference maker is that when you buy an instrument, new or used, you always have the option to resell to recoup your investment. On Reverb we make it easy for anyone to list and sell an instrument, and in those instances where your child doesn't continue with their playing, you can get that oboe back for sale to earn your money back in a totally seamless way. If you bought it used originally, than the amount you'll earn from the sale will likely get close to the original amount you paid. Every year brings new young students itching to join the band, which in turn brings parents itching for a good deal on the instrument the last batch now has for sale.